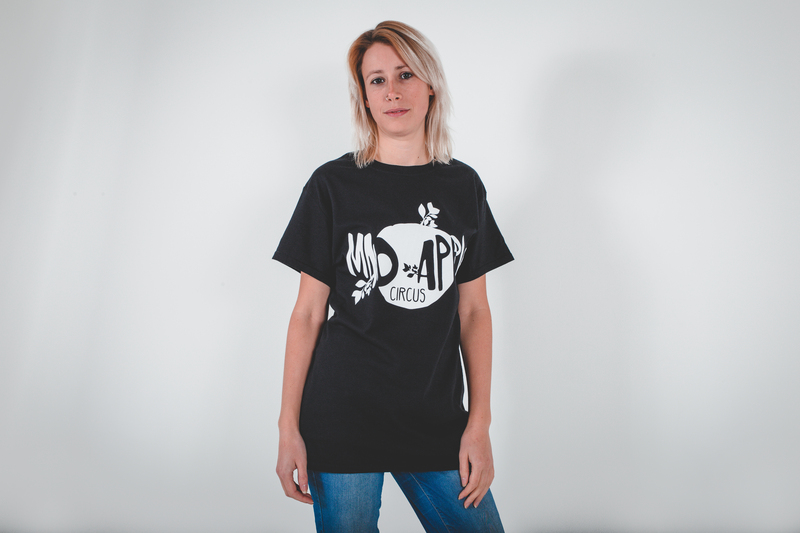 White screen printed design on black short sleeved t-shirt, stylish and comfortable. 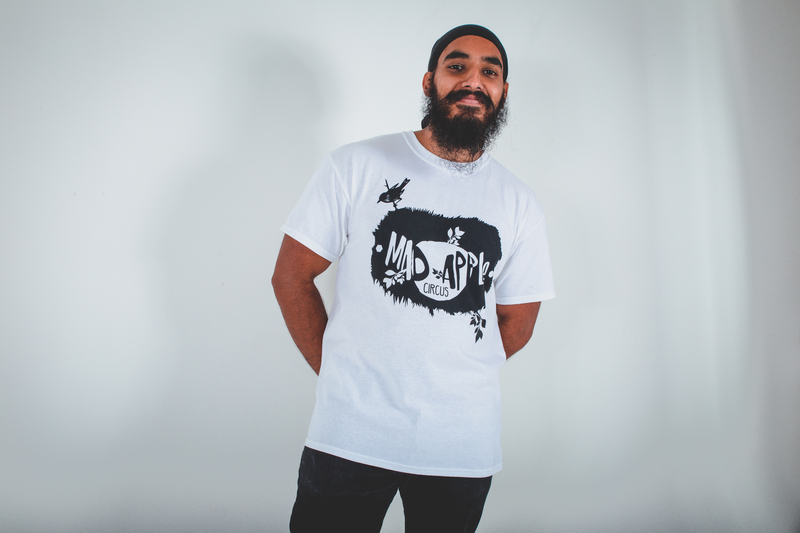 Black screen printed design on white short sleeved t-shirt, stylish and comfortable. 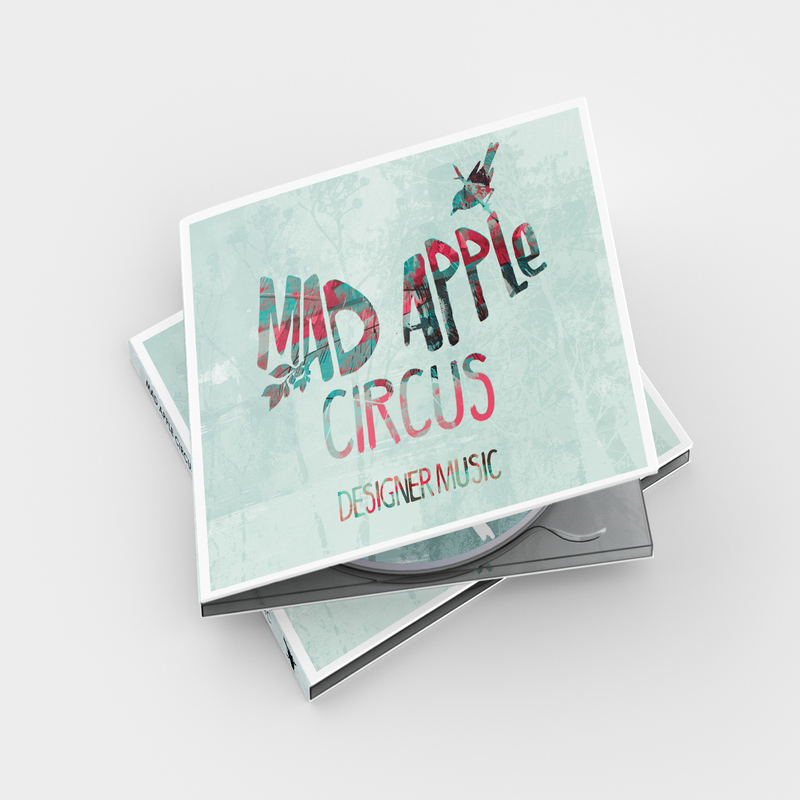 The second studio album from Mad Apple Circus featuring 13 original tracks. Hidden gems never heard live before plus all the favourites from their sets. Total Playing Time: 48 minutes 02 seconds. Black and cyan screen printed design on white short sleeved t-shirt, stylish and comfortable. 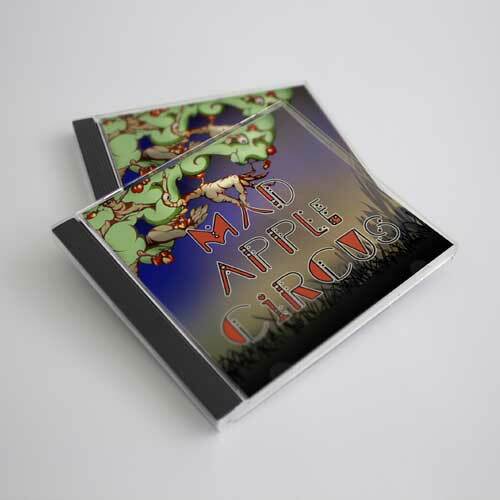 The debut album from Mad Apple Circus featuring 12 original tracks. 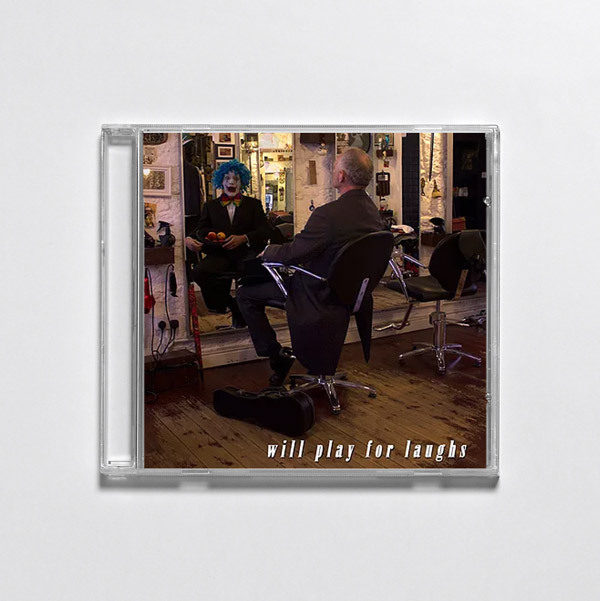 Total Playing Time (Inc. Hidden Track): 45 minutes 56 seconds. The latest EP from Mad Apple Circus. A six track splendor that is an absolute must in any record collection. Total Playing Time: 19 minutes 12 seconds. Exclusive discount on all merchandise at live shows!